Ha Truong is a Hanoi native and fashion designer who has been in the business for over 12 years. She has created one of Vietnam’s most sophisticated and sought after brands. Ha designs the way she likes to dress, sleek and chic, with an eye for detail and clever cuts. She believes that style does not need to come at the expense of comfort and convenience and designs garments that seamlessly transition from casual wear to high fashion. Her clothes are practical but never lack a contemporary edge. 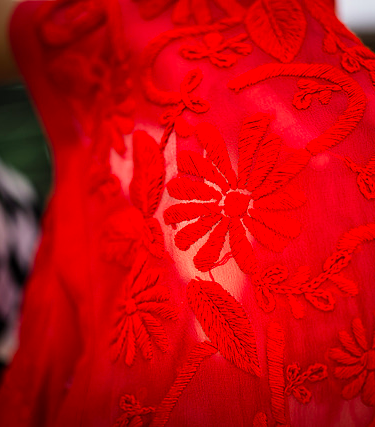 Ha Truong’s collections have global appeal yet always sport a hint of her Vietnamese heritage. She likes to play with traditional embroidery techniques and pattern cuts. 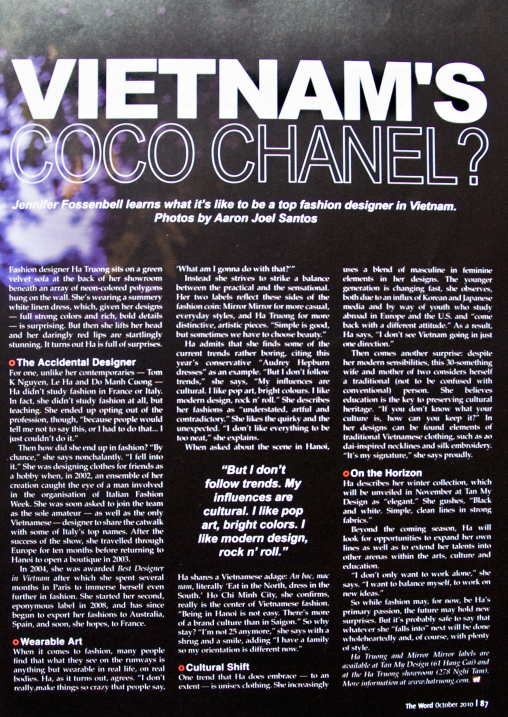 She boldly applies those elements to her clothes and reimagines what Vietnamese design can be. Her first dabble into the professional world of fashion came after her styling and fashion tips for friends caught the attention of an international fashion industry insiders who brought her to Europe. After returning to Vietnam Ha Truong started her first own fashion label mirrormirror and served as its creative director before starting her current line Ha Truong. Ha attended design courses at the École de Mode Internationale in Paris. She has been awarded the Mercedes Benz fashion award for the Best Young Designer in Vietnam and has shared the catwalk with industry big shoots in Vietnam such as Valentino, Versace, Gianfranco Ferre.